There are a wide variety of puzzles offered for children today. There are cardboard, plastic, rubber, and wooden puzzles – some with knobs and some without. New designs come in 3-D and with sliding doors. The most important objective is to provide puzzles that are age appropriate – too many pieces will only frustrate a young child. It’s best to start with puzzles that have a frame and then work up to pieces that just interlock, like jigsaw puzzles. Puzzles help to develop skills in problem solving, eye/hand coordination, and fine motor development. Young children need to practice the abilities to coordinate what the eyes see, and then the brain tells the hands what to do. Puzzles are a way to accomplish these skills in a fun and enjoyable way. The use of puzzles can also develop fine motor skills with detailed movements of the hands through holding, grasping, and manipulating pieces and knobs. These skills acquired now will help a child with their hands later like in grasping a pencil. Puzzles also teach the mind to problem solve and think logically – if one piece doesn’t fit here, maybe it will fit in another place. With such an assortment of fun puzzles for preschool children in the marketplace, students will have a manipulative toy that will teach colors, shapes, alphabet letters, numbers, animals, and much more. Puzzles can be purchased at many toy and discount department stores locally and online through Fine Wooden Toys and Kids Jigsaw Puzzles. An important method to organizing puzzles, as they do get dumped on the floor and the pieces get mixed up, is to mark each piece with a code. Every time you add a puzzle to your collection, select a letter or number for that specific puzzle and write it on the back of each piece with a permanent marker. It’s an easy way to keep your classroom puzzles in the right frame or box. Use household and recycled materials to make your own puzzles with your children. These are great projects to make and when the children tire of them, they can be recycled again. Invite the children to draw a self-portrait on construction paper with crayons or photocopy a picture that has been brought in from home. Photographs will need to be made larger or zoomed on a photocopy machine. Cover each portrait with clear self-adhesive paper and then cut into zigzag pieces (3-5 simple designs). Invite the children to play with their own puzzle and store the pieces in a zipper locking plastic bag to keep in class or send home. Gather several small household items such as jar lids, combs, plastic spoons, old keys, clothespins, etc. Take a heavy piece of cardboard and simply arrange these items in any order. An adult can spray paint the entire surface outdoors. When dry, remove the items and store these in a zipper locking plastic bag. The silhouette of each item will remain unpainted on the cardboard surface. The children can now match the items to the correct shape. 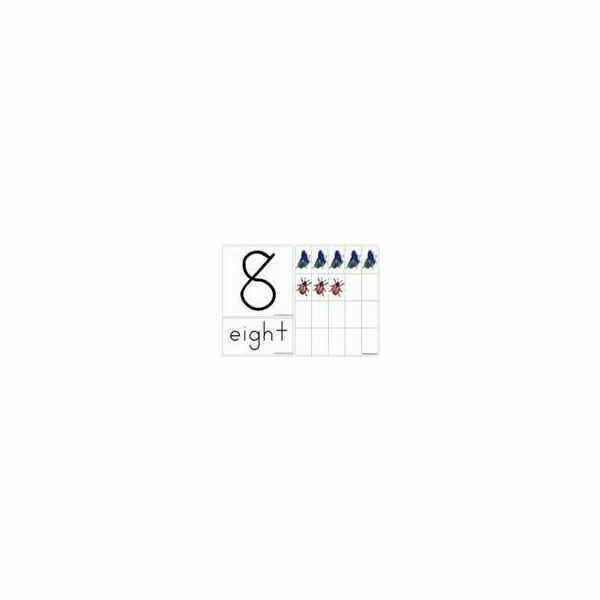 This puzzle will help children to develop number recognition and reinforce counting skills. Use jumbo index cards or poster board pieces cut 4 1/2-inch by 9-inch. Draw an object, or use stickers on one side, and then write the number on the other side. For example, you could draw two hearts on the one side, (or use heart stickers), and then write the number 2 on the other side. Continue making cards up to the number 10 or higher. Cover all pieces with clear adhesive paper or laminate. Cut each card in half vertically using a different cutting pattern, that could be zigzag or wavy. Now, the children can match the halves of the cards and even sequence them numerically. Save used greeting cards (holiday or birthday) and use these for small puzzles. Use the front picture and invite the children to make their own puzzle. On the reverse side, show the child how to draw 2-4 shapes that connect. These will be the cutting lines to create puzzle pieces. Encourage the children to cut on these lines using safety scissors. After the pieces are cut, write their name or initials on the back of each piece. 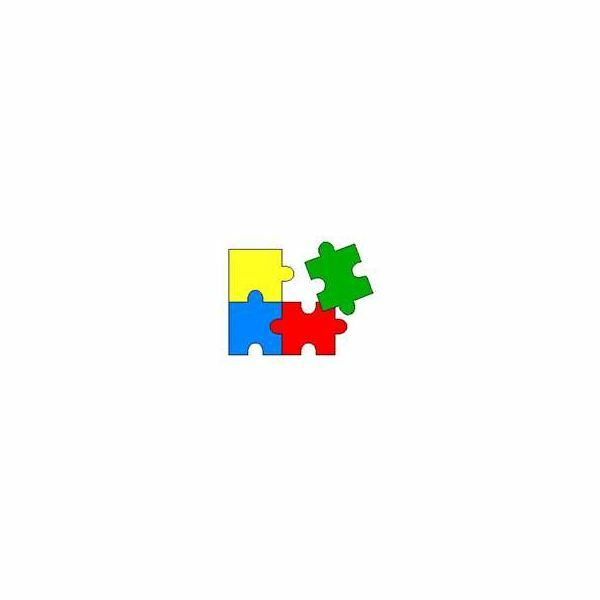 Help the preschooler put the puzzle pieces together to complete the picture again. Store the pieces in a zipper locking plastic bag. Another variation of this ideas would be to use empty cereal boxes, cutting the front cover away from the box. Just follow the same procedure. Puzzles are a way for children to learn important skills. They also provide opportunities for the teacher and students to work together to accomplish a common goal. Remember play is learning!